Real Talk: Sometimes a fancy cocktail is just what a lady needs. I’m a fan (in a big way) of any type of cocktail that involves gin. Or bourbon. Or rum. However, I’m not crazy for vodka. I mean, in a martini, I can deal, but I’d prefer if it were gin. So, in an effort to expand my cocktail horizons, I’m making some infused vodkas. I suggest a kind of vodka that you would drink plain, whatever that is. I got this one because I don’t know anything about vodka and this one’s in the medium price range and the bottle is made of glass and not plastic. I feel like that’s good enough. Now, what to infuse with? The first thing that comes to mind is fruit, but I’m not wild about sweet drinks. Also, I really like the piney taste of gin, so I figured I’d choose an herb. I eventually chose rosemary, but this was not an easy choice. Depending on how this one tastes, I’m considering tarragon, mint, thyme, lavender, lemon balm, or basil… and then think about all the other combinations–lavender and lemon peel, strawberries and basil. Oh man! 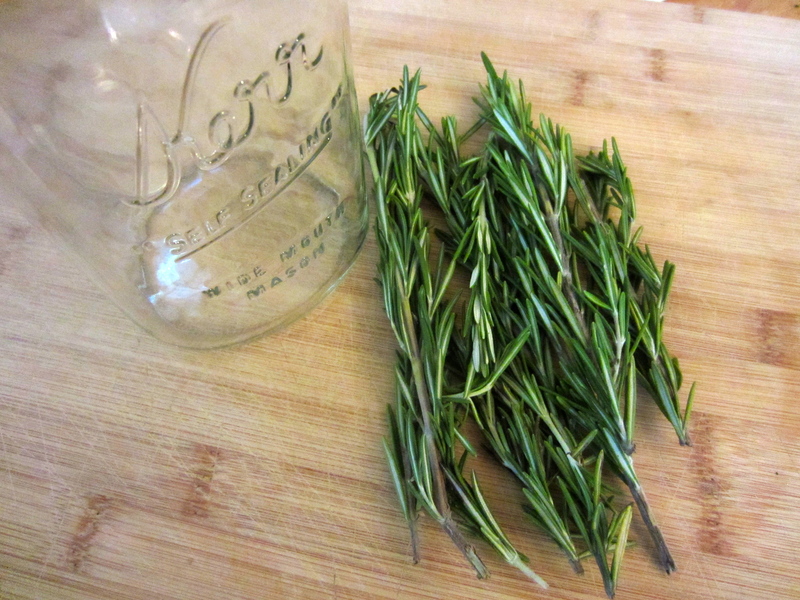 Anyway, I picked rosemary. For this one, I’m imagining all the possible cocktails I could make once this is ready to drink. This rosemary lime concoction, or even this champagne cocktail! For my second choice, I wanted to go simple and refreshing. 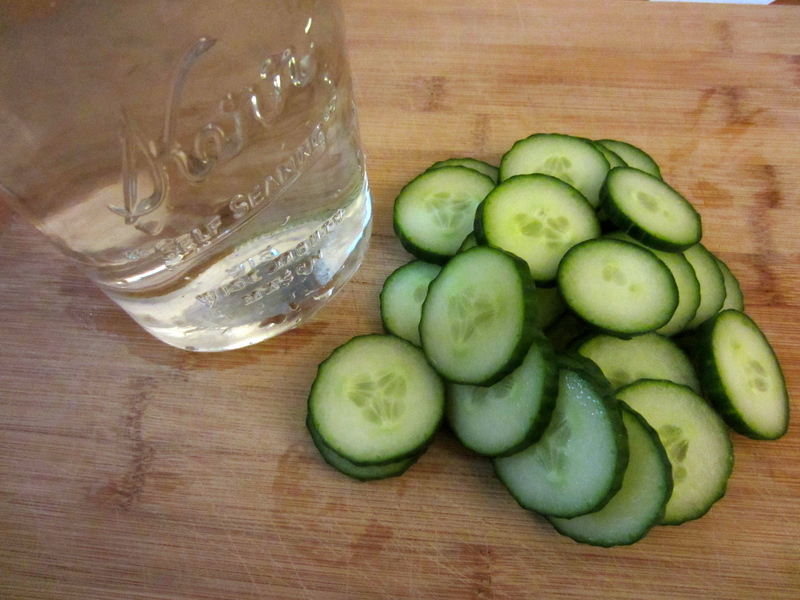 I picked cucumbers because they’re summery and subtle. By the time the weather warms up again, I’ll be fully prepared to make some classy lady cocktails. 1. Choose what you’ll be infusing vodka with. Get that thing and make it jar-sized. 2. Wash and dry a quart-sized mason jar. 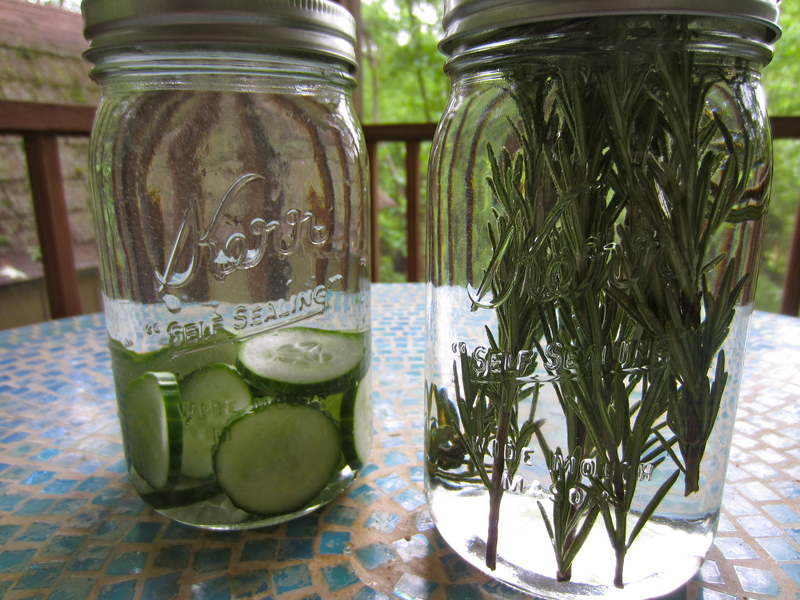 Put some of what you want to infuse with into the bottom of the jar, and then cover it with vodka. 3. Close the jars and give them a little shake. Place them in a cool, dark place and taste every few days until you like the flavor. 4. 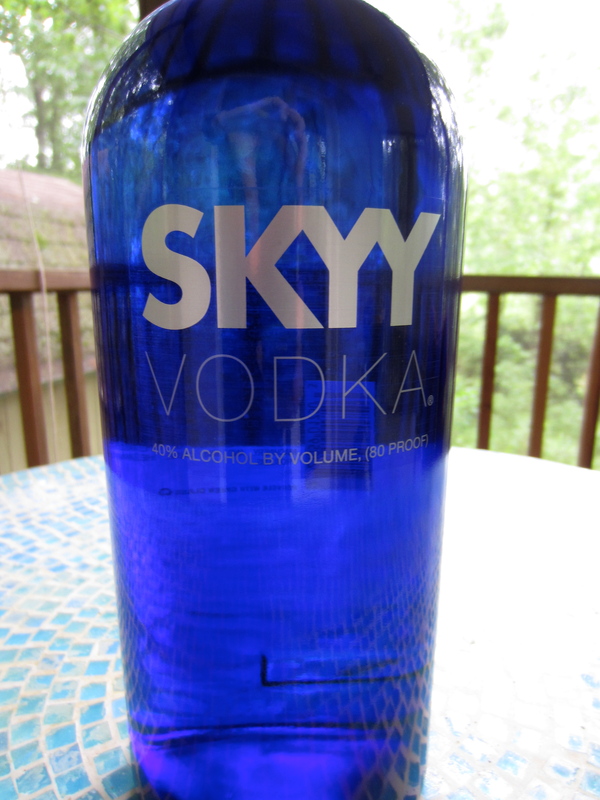 Strain vodka and store it in the freezer for up to 2 months! 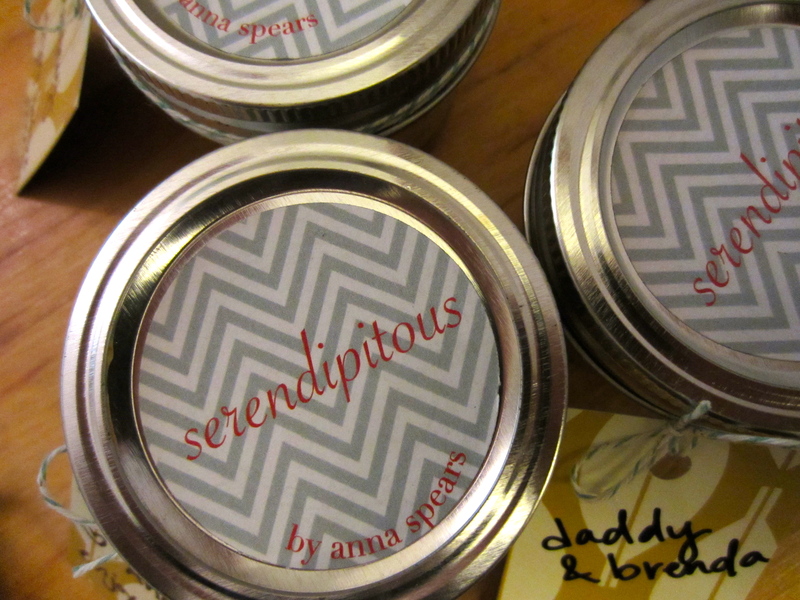 Last thing: check out my new jar labels! If you’re lucky, something delicious is coming your way with one of these labels on it. Last Thanksgiving, my mom sent Jason and I home with a bunch of leftovers. She used some old jars to put cranberry sauce in, one of which previously contained lemon curd. The label was still on it, but once it was filled with dark red cranberry sauce, it seemed pretty self-explanatory. However, Jason had never heard of lemon curd, and assumed that it was supposed to be dark red and look (and taste) suspiciously like cranberry sauce. So, because he didn’t think that it would be good with turkey, he ate his “lemon curd” with a spoon. It wasn’t until I had a jar of actual lemon curd that he figured out that he had been eating cranberry sauce. Is it bad that I understand the appeal of eating both cranberry sauce AND lemon curd with a spoon? 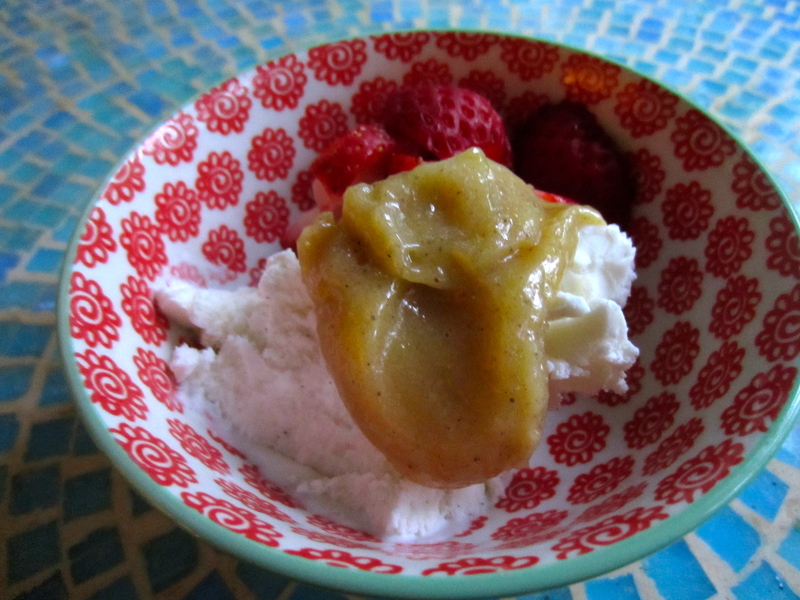 This grapefruit lemon cardamom curd should only be eaten with a spoon. Seriously. So here’s the skinny on curds: it’s pretty much a citrus custard. Like the filling of a lemon meringue pie, but in a jar. The cast of characters include egg yolks, acidic citrus juice, and some sugar. With heat, it thickens and becomes semi-solid. It makes a great spread for scones, toast, or pancakes. It’s also good stirred into yogurt, or just plain. 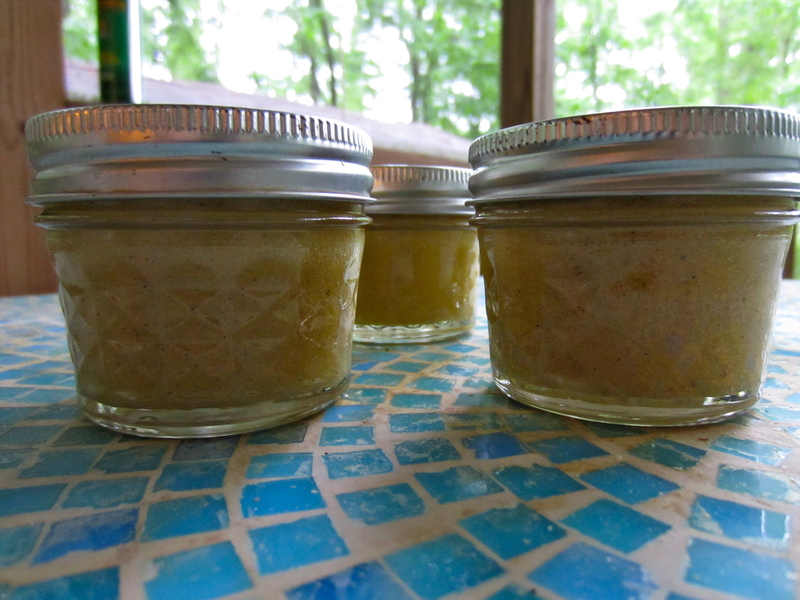 For this curd, I used primarily lemon juice and zest, a little grapefruit zest, and some cardamom. Do you know how great cardamom is? I’m not sure how to use it in savory foods just yet, but I think it’s a natural pairing with lemons. Next time you’re at the store, just smell it. But try not to make an audible noise when you do, people think that’s weird. Trust me. I used egg yolks laid by the next door chickens! I love the way they settled in this bowl together. Cooking and canning this curd can be a little intimidating and hectic. Everything feels hectic when that HUGE boiling-water canner is on the stove. 1. Zest and juice 4 lemons and 1/2 a grapefruit. This should yield about 1/2 cup of juice. If you are short, supplement with lemon rather than grapefruit. 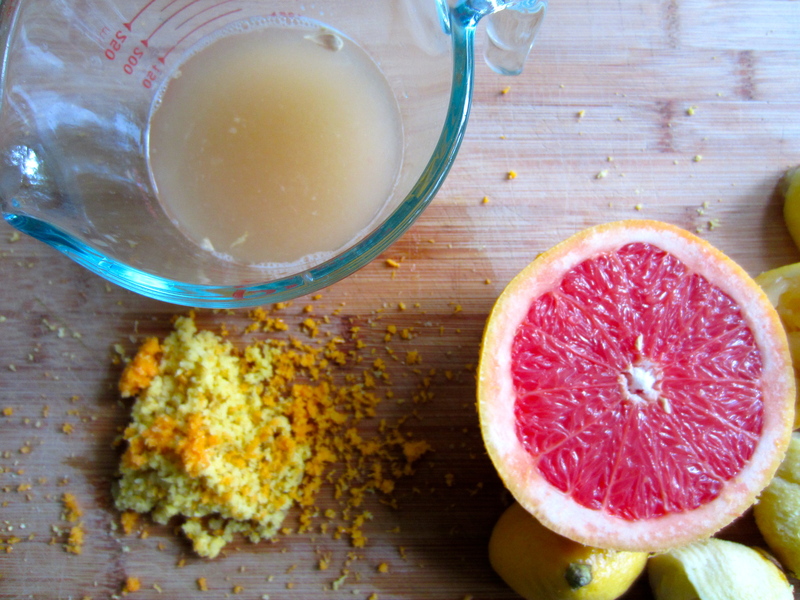 If there is too much grapefruit juice, your finished product will not be shelf stable. The amount of zest is flexible, I usually zest everything that I juice. 2. 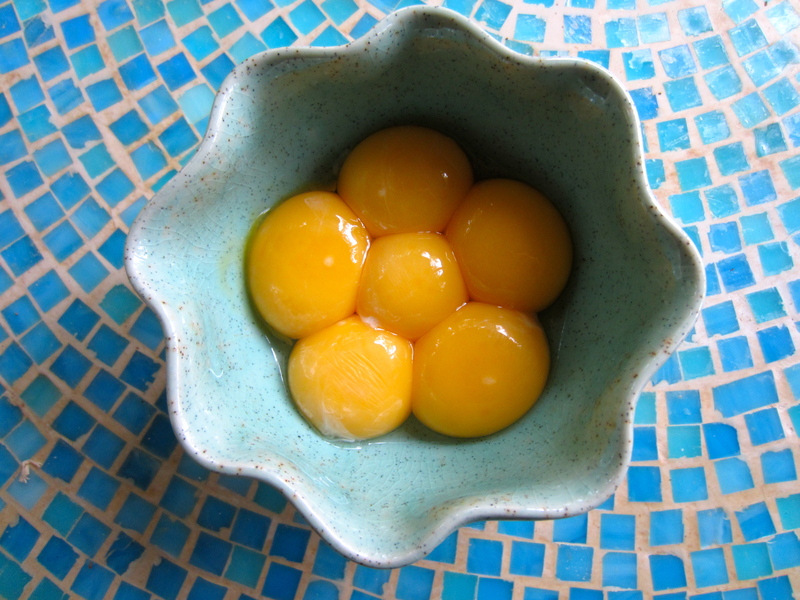 Separate 6 eggs, store the whites and keep the yolks. Set aside both your egg yolks and lemon zest and juice. 3. Remove the lids and bands from 4 small jelly jars (4 ounce). Place all of the components in the large heavy-bottomed pot, cover them with at least an inch of water, and simmer over medium heat. (I recommend a back burner.) They will continue to simmer until you are ready to use them. 4. Fill the water-bath canner with water. Always fill the pot more than you expect to need, a lot of it will evaporate. 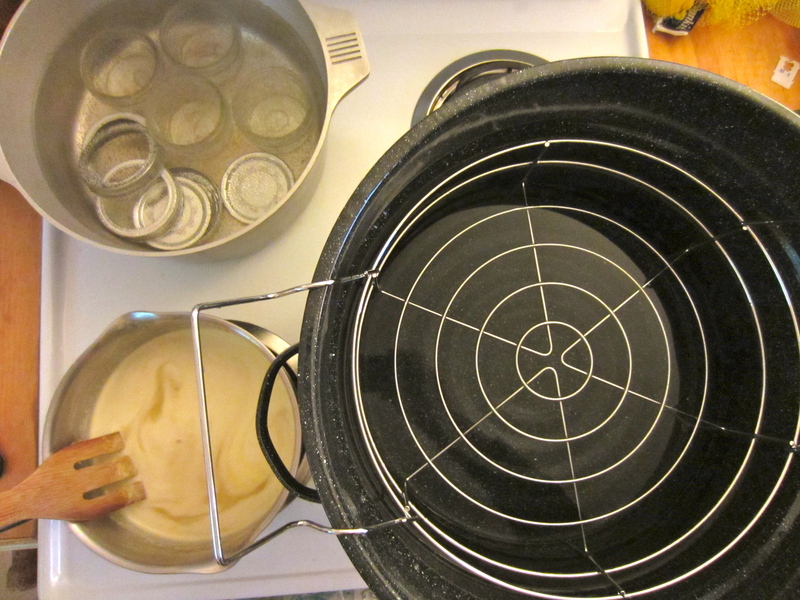 Place the canner over medium heat, the canning rack resting on the sides of the pot to keep the handles cool. Cover and let it come to a boil. 5. While the jars simmer and the water-bath canner comes to a boil, whisk the egg yolks, sugar, and cardamom in a small saucepan over medium heat. When the sugar begins to melt, switch to a wooden spoon and stir in the citrus juice and zest. Stir continuously for 10-15 minutes, making sure that the mixture never boils. When the mixture is thick enough to coat the back of your spoon, add the butter and stir until fully melted. 6. Place a fine-mesh strainer over a metal bowl. Slowly pour the curd through the strainer. Gently push as much of the mixture through the strainer that you can. Place a pot lid over the bowl and set aside. 7. Place the ends of your jar-lifter or kitchen tongs into pot of simmer water with the jars and hold it there for at least 30 seconds. Then, remove each jar from the simmering water. Do not rest the jar lifter or kitchen tongs on the counter! To set them down, place them in the pot of simmering water. 8. Fill each of the jars with the curd from the metal bowl. Be sure to leave about a quarter inch of headspace in each jar. Wipe the rim and threads of each jar with a clean dishtowel to be sure they are clean and dry. 9. Grap the lids and bands from the simmering water. (This is where I recommend kitchen tongs over jar-lifer; you can’t grab lids with a jar-lifter… you need that silly magnetic wand!) Place the lids on the jars, then gently screw on the bands. 10. When the water in the canner is at a violent boil, gently place the jars in the canning rack and lower it into the water. Place the lid on the canner and process for 20 minutes. 11. Remove the jars from the canner and place them on a clean dishtowel to cool. Stand with your face very close to the jars and listen for the popping sound that ensures your jars are sealed. When you hear it, do a little victory dance in your kitchen! 12. 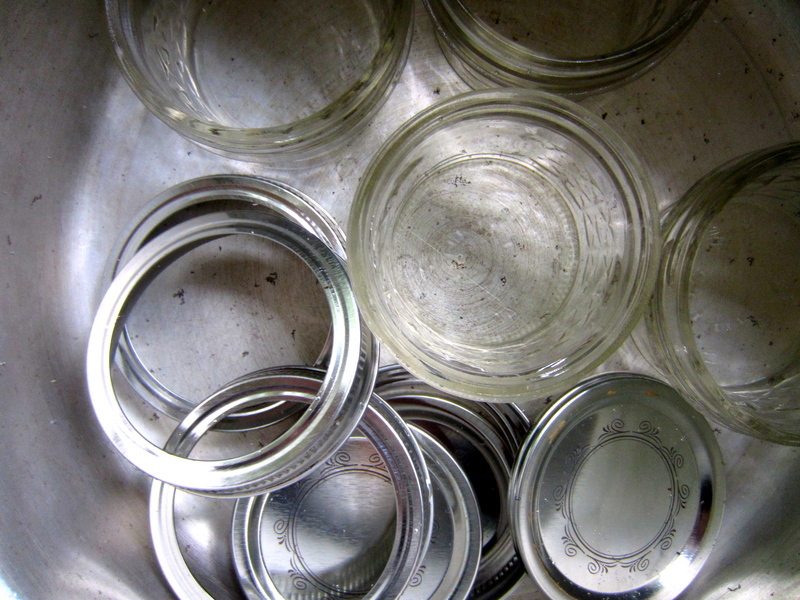 After 12 hours, remove the bands from the jars, and lift each one, touching only the metal lid. If it holds, you’re good! Do another victory dance. These little jars will only last in the pantry for about 2 months. Apparently curd is still safe to eat but loses its consistency after a couple of months. Trust me, you’ll have no problem eating this in time!